Is Acxiom Corporation (ACXM) A Good Stock To Buy? The Insider Monkey team has completed processing the quarterly 13F filings for the September quarter submitted by the hedge funds and other money managers included in our extensive database. Most hedge funds have been producing disappointing net returns in recent years, however that was partly due to the poor performance of small-cap stocks in general. Well, small-cap stocks finally turned the corner and have been beating the large-cap stocks by more than 10 percentage points over the last 5 months.This means the relevancy of hedge funds’ public filings became inarguable, as they may reveal numerous high-potential stocks. 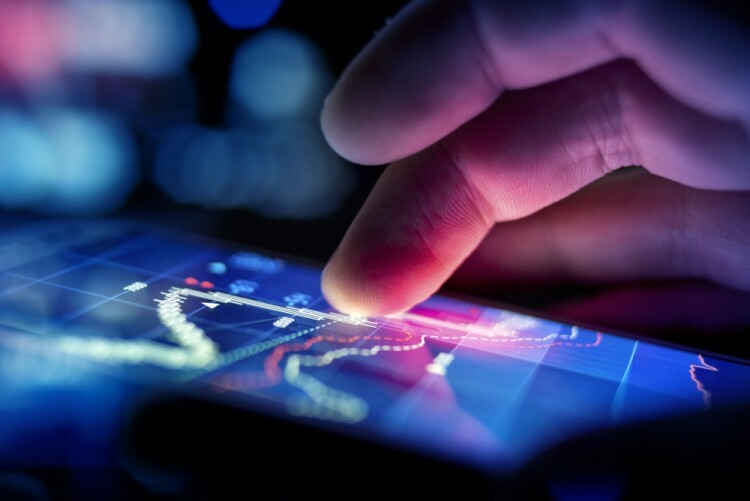 The following article will discuss the smart money sentiment towards Acxiom Corporation (NASDAQ:ACXM). Hedge fund interest in Acxiom Corporation (NASDAQ:ACXM) shares was flat during the third quarter. This is usually a negative indicator. 15 hedge funds that we track owned the stock on September 30, same as on June 30. The level and the change in hedge fund popularity aren’t the only variables you need to analyze to decipher hedge funds’ perspectives. A stock may witness a boost in popularity but it may still be less popular than similarly priced stocks. That’s why at the end of this article we will examine companies such as Monogram Residential Trust Inc (NYSE:MORE), WPP PLC (ADR) (NASDAQ:WPPGY), and Revlon Inc (NYSE:REV) to gather more data points. What does the smart money think about Acxiom Corporation (NASDAQ:ACXM)? At the end of the third quarter, a total of 15 of the hedge funds tracked by Insider Monkey were bullish on this stock, unchanged from one quarter earlier. 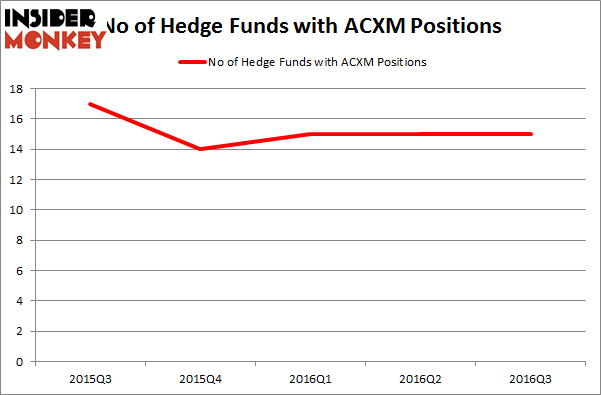 By comparison, 14 hedge funds held shares or bullish call options in ACXM heading into this year, with ownership being flat over the past 2 quarters. With hedgies’ positions undergoing their usual ebb and flow, there exists a few noteworthy hedge fund managers who were upping their holdings significantly (or already accumulated large positions). Of the funds tracked by Insider Monkey, RGM Capital, led by Robert G. Moses, holds the biggest position in Acxiom Corporation (NASDAQ:ACXM). RGM Capital has an $81.1 million position in the stock, comprising 9.1% of its 13F portfolio. The second most bullish fund manager is Mariko Gordon of Daruma Asset Management, with a $66.7 million position; 4.1% of its 13F portfolio is allocated to the company. Some other peers that hold long positions contain David E. Shaw’s D E Shaw, Lee Hicks and Jan Koerner’s Park Presidio Capital, and Jim Simons’ Renaissance Technologies. We should note that RGM Capital is among our list of the 100 best performing hedge funds which is based on the performance of their 13F long positions in non-microcap stocks. 10 Stocks Insiders and Hedge Funds Are Crazy About (part 1) Here is What Hedge Funds Think About Green Dot Corporation (GDOT) Should You Avoid Graham Holdings Co (GHC)? Here is What Hedge Funds Think About Federal Signal Corporation (FSS) Federal Realty Investment Trust (FRT): Are Hedge Funds Right About This Stock... Have Hedge Funds Found Something to Love in K12 Inc. (LRN)?